When taking eggs out of the nesting box, mark them on top with a pencil can replace them in the same position. 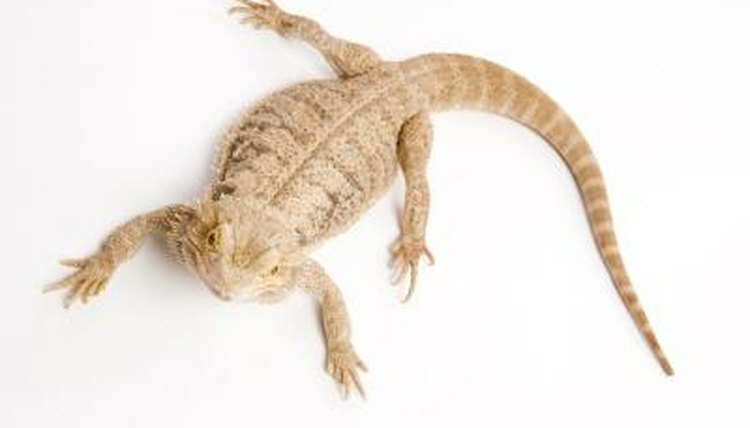 If bearded dragon eggs are rotated after they are deposited, they will likely perish. Take the eggs to a dark room and shine a bright but small pen light through the egg from behind. If the eggs are fertile, you will see a network of blood vessels, and the light coming through the egg may be primarily pink. If the eggs are infertile, the light coming through the egg will appear yellow, and blood vessels will not be visible. Keep eggs that look infertile for a few days before discarding them: Occasionally, eggs may take a few more days to develop blood vessels that are large enough for you to see.